The latest novel from one of Italy’s most prolific and popular contemporary writers appears on its surface to be a fantastical romance. An eighteen-year-old woman arrives at a country house in Italy from Argentina to claim her husband. With her betrothed absent, his extraordinary family take her in, and she discovers the idiosyncrasies of their day-to-day life: their fear of the night-time; their extended breakfasts; their constant attempt to create a perfect day, perfectly lived. Right from the outset, however, Baricco unsettles the reader. The main players are named only by their roles: ‘the Mother’; ‘the Uncle’; ‘the Daughter’; and, of course, ‘the Young Bride’. In addition, time seems very flexible: ‘the Young Bride’ is said to have met and become engaged to ‘the Son’ at fifteen, yet her absence in South America seems much longer than three years. Most importantly, the perspective from which the story is told is completely fluid. The narrative voice switches from sentence to sentence. A character’s first person can slip into third, and then into the first person of the narrator – the novel’s apparent writer – in a kind of fuel-injected free indirect style. Despite appearances, however, Baricco is in complete control of his material. Just at the point when I was giving myself up to a delicious vertigo, the narrator steps in and points out the inconsistencies in the novel’s timeline; and confesses to his random application of narrative points of view. There are reasons he is writing like this, he says. And suddenly The Young Bride becomes a novel about much more than an unusual family who name days according to objects that arrive in the post, and go on vacation to give their house a rest. It is a book about writing: about the relationship between the author’s life, his state of mind, his craft and his material. Yet it is in no way earnest or worthy. The imaginative verve Baricco applies to creating this family, he also applies to his descriptions of his writerly struggles. 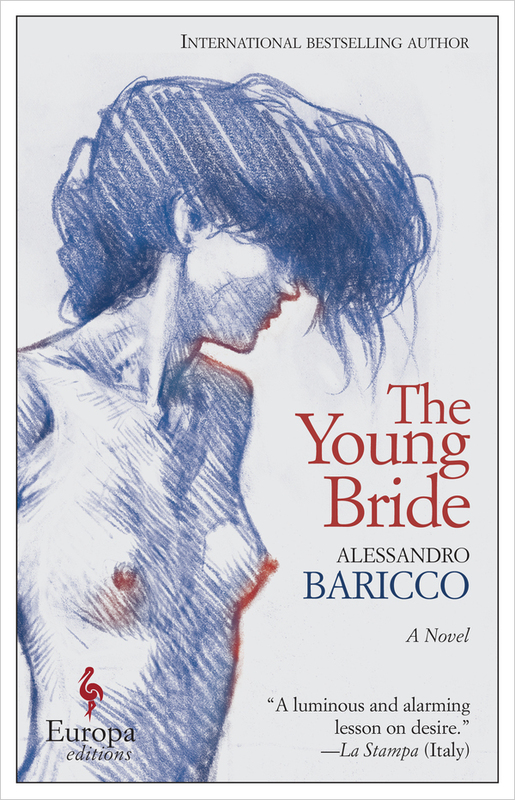 But while his narrator protests the pains of his profession, there is no doubt in my mind that Baricco had a fine old time giving this virtuoso literary performance. Neither do I doubt that Ann Goldstein relished translating it.